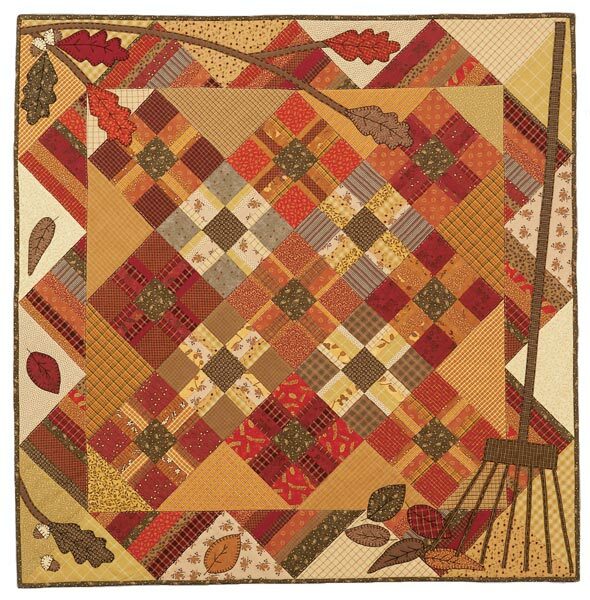 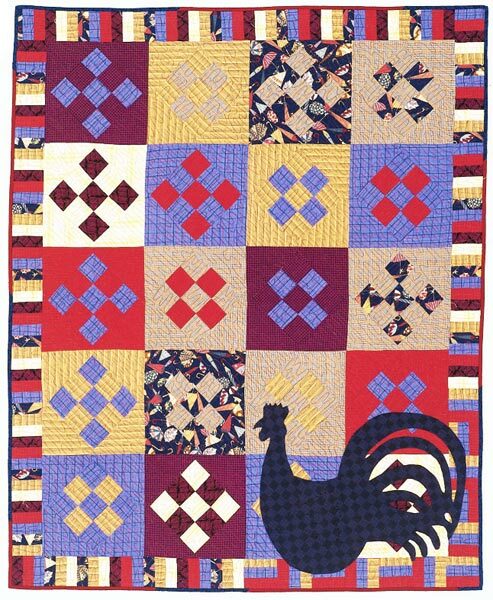 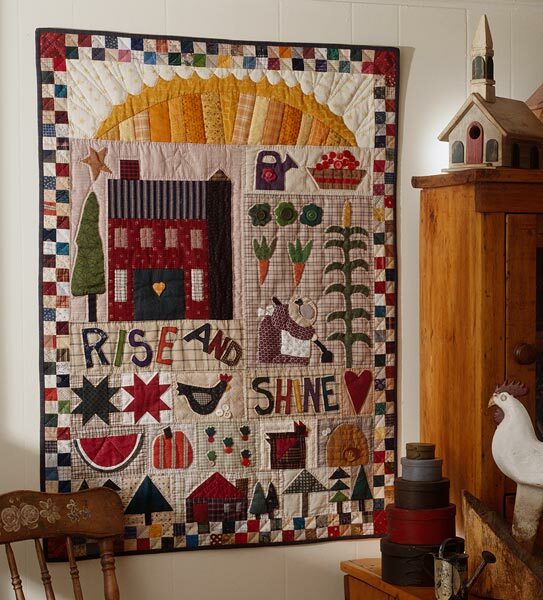 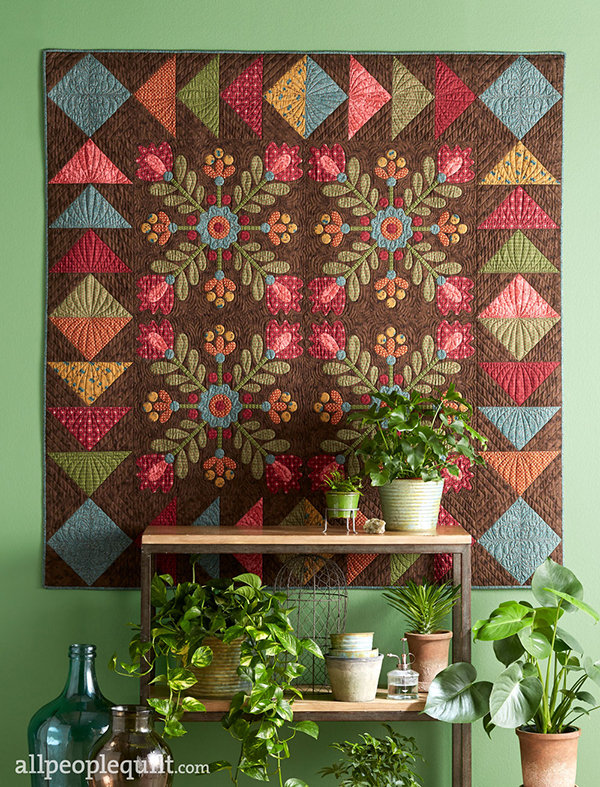 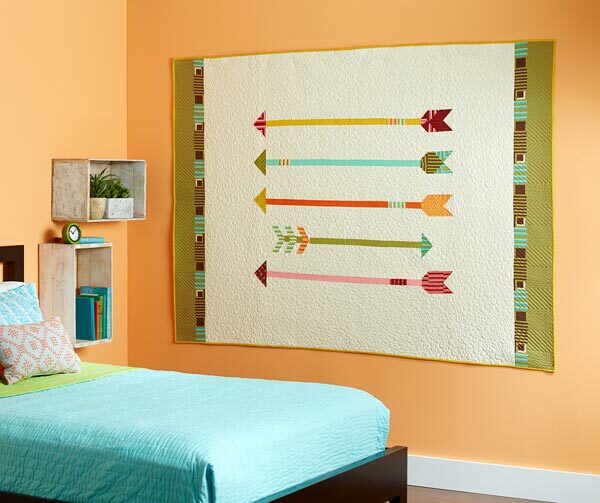 Autumn appliques are a perfect match for an easy-to-piece quilt. The Nine-Patch blocks and border triangles are quick to assemble with strip piecing. 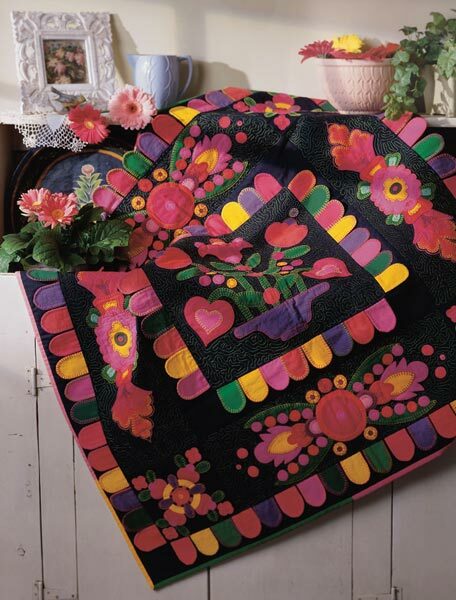 Blanket-stitching completes the look. 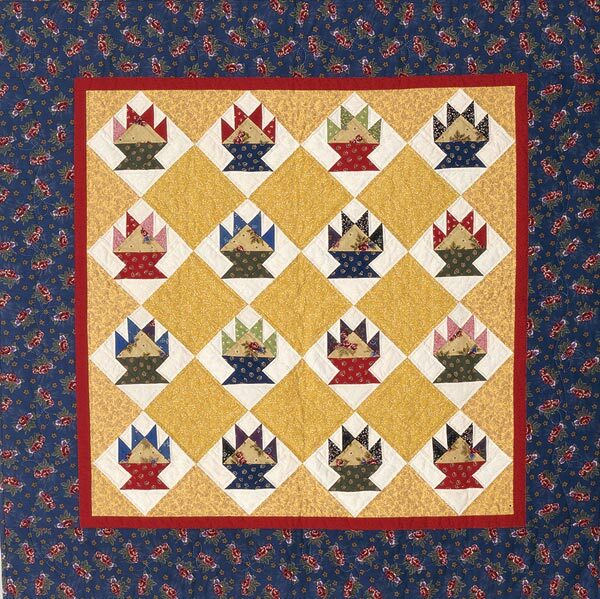 Finished quilt: 47" square. 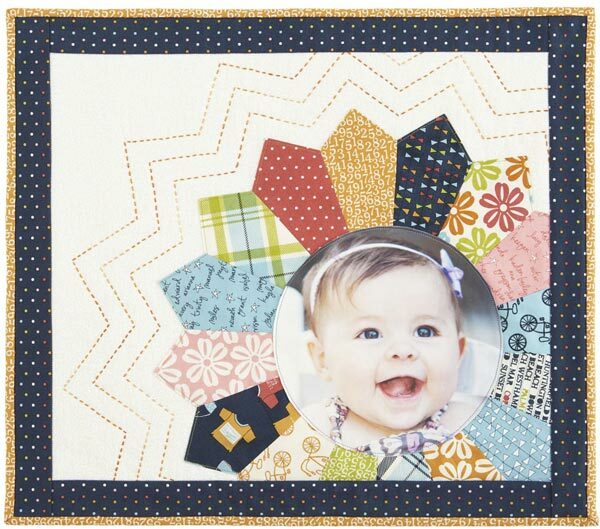 Finished block: 8-1/4" square. 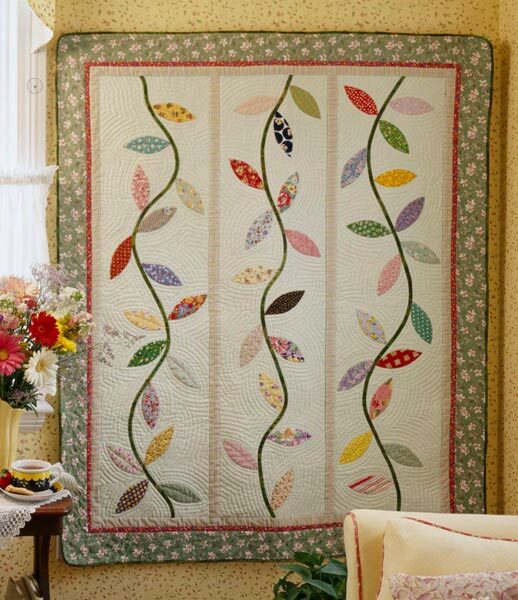 Designer: Kris Kerrigan of Button Weeds.